Lisa Fitzpatrick is the go-to spiritual business coach for high-achieving, soulful, entrepreneurial leaders and coaches who have a powerful message and would like to start a movement. 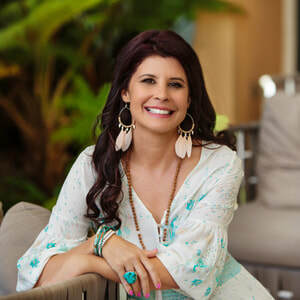 She is a specialist in sustainable business practices and loves supporting women to grow their online and offline presence in heart-centred, holistic and healthy ways. As a best-selling author and founder of Sacred Women’s Business Coaching, Lisa believes that when women tap into their feminine wisdom, the feminine shift restores balance and equality and helps to heal our troubled world.